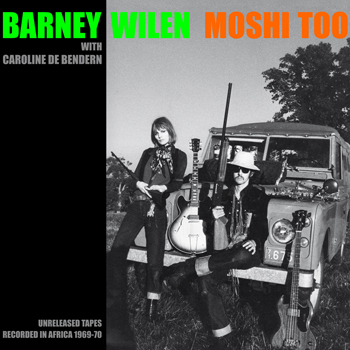 Recorded 1969-1970 in Africa by Barney Wilen on Nagra (Stereo/ Mono). from original tapes found in the estate of Barney Wilen. with kind support from Mo and Jury Lutz. MOSHI: trance utterance by the Fullani Bororogi (Niger). “MOSHI is the Bororogi`s way to get rid of the blues, a trance-like state which involves possession by a special demon called MOSHI” (CdB). 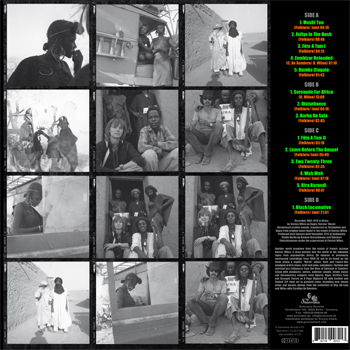 In 1969 and 1970, French jazz saxophonist Barney Wilen (1937-1996) travels through Morocco, Algeria, Niger, Mali, Upper Volta (now Burkina Faso) and Senegal to Dakar with a group of musicians and filmmakers. Once a celebrated bebopper in the Fifties, now, at the end of the Sixites, Barney decides to “drop out”. Aboard a brightly coloured Land Rover is his girlfriend and future wife, Caroline De Bendern, model and icon of the May '68 Paris riots. Moreover, they packed instruments, amplifiers, tape recorders and camera equipment. 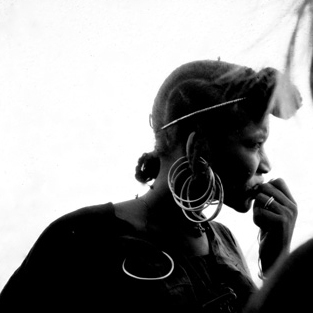 The goal is to shoot a 35 mm road movie, financed by funds from the new production company "Zanzibar Productions". After two years, Barney and Caroline return to Europe without a finished movie. However, there are over 50 tapes in their luggage, capturing music and sounds from different stations of their journey recorded on a Nagra tape recorder with people they met along the way. Almost all of these "original African recordings" are unreleased until today and now see the light of day under the title MOSHI TOO. Infected by Pharaoh Sanders and John Coltrane, enthusiastic about jazz-rock and the spontaneous free jazz scene, Barney plays psychedelic desert blues and spiritual Afro Jazz - hypnotic sessions with deep tenor saxophone, funk guitar, bass and drums in a trance-like flow. Occasionally, he works with backing tracks and noise or ambient sounds. In addition, there are documentary recordings of African music and singing groups, of various single traditional instruments such as the balafon, oud or flute and the rhythms and chants of nomadic tribes to the sounds of nature, Muslim prayers or voodoo voices. MOSHI, the word pronounced during a trance, by members of the Fulani Bororo (nomad branch of Fulani ethnic group). The trance it seems is often induced by musical manifestations they are unused to on the radio, western music and technology. Some say it is a deformation of “Monsieur”. It all started in Paris February 1969. A group of young “Insoumis” (May 68 term for rebels), offspring of the revolution which had recently shaken France and caused a few thrones to totter and who were on the point of leaving on a long trip to Africa. Destination: Zanzibar. The journey was to last six months during which two films were to be shot. The voyage was originally motivated, on listening to a recording of pygmy music. A visit to these people was to be one of the highlights, among others. 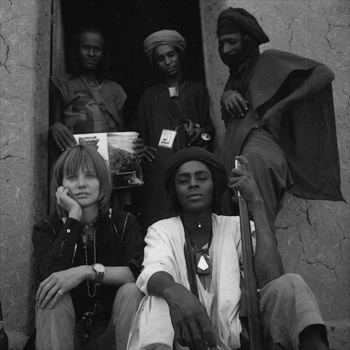 The production company which financed the expedition, “Les films Zanzibar”, was created in 1968 by a young “insoumise”, Sylvina Boissonnas, who had already produced several films by among others, Philippe Garrel and Serge Bard. 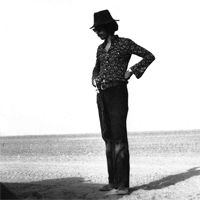 In 1969, Sylvina agreed to Serge Bard’s Zanzibar project. The equipment is assembled, technicians engaged, four Land Rovers and us, that is, Serge, a Moroccan friend Affifi, The actors: Didier Leon, Babette Lamy, and myself. 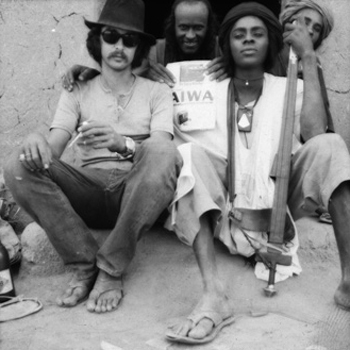 My new boyfriend and future husband, Barney Wilen, who should take care of everything on the music side, Daniel, and minimalist painter Olivier Mosset, who came along to observe the emptiness of the desert. We spend three months in Tangiers, then to Marrakech for a while, after which we go south and install our first camp. About four months had gone by, since our departure and not one image had been shot. Daniel broke his arm and there were many other factors of delay. The technicians get nervy, start shooting at the trees and after having been called “bourgeois renegades” (or something like that) by Serge, get mad and quit. Next Algiers and the “Pan African Music Festival” where Barney got out the Nagra provided by the production for the first time, and recorded Archie Shepp with some Algerian musicians (Gnaoua) from the south, in front of the mosque at the entrance of the Kasbah. We continue on to Colomb Béchar, then we made excursions all around Tam, recorded Tin Hanan festival at Abalessa (Tindi Abalessa). At the border, we were searched and … busted. Some illicit substances were found and we’re all arrested. Sylvina sent two lawyers, who got us off with a fine and ordered to leave the country. Then we are in Agadez, Niger. Settle into a house, which we rent from Malam Sidi, Grand Marabout. We would go on excursions into the bush. One of these led us to Tafadek, a paradise like place, where nomads from all around and even further, come to take the healing waters. Hot sulfur water springs out into a covered bath, in which one can dip and then go out and plunge into a cold pond outside. We had brought some of our friends from Agadez, “les grands bandits” and some pretty girls: Beautiful Budje, gorgeous Giana and others, the Bororo, among whom: knockout Orti and the sublime Giulde. It was in Tafadek that Barney recorded his MOSHI one night under a starry sky. Serge announces that he has converted to Islam. Because of the ban on reproducing the human image, he will no longer film. 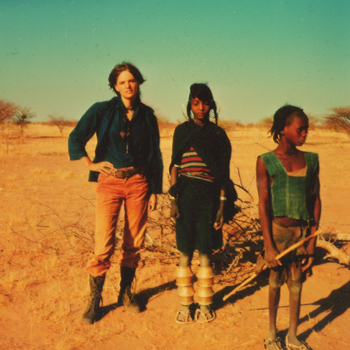 We leave Agadez and join up with Sylvina in the capital, Niamey. Needless to say, she was not exactly happy with the situation and terminated the project. Later she joined the women’s lib movement. The Zanzibar project was a financial disaster for Sylvina but thanks to her initiative and generosity, MOSHI exists. Our funds had seriously diminished; the company could no longer support us. Sylvina left us just enough to bring back the Land Rovers. We choose to take the boat from Dakar. Big thanks to Patrick Wilen for making the tapes available and to Caroline De Bendern. Sound restauration and mastering in 2012: Roskow Kretschmann at Audiomoto, thanks to Mo and Jury Lutz. photos from the collection of Caroline De Bendern, frontcover concepted by Patrick Wilen, artwork for LP and CD by Patrick Haase, album conceived and produced for Sonorama Records by Ekkehart Fleischhammer.